4th of July is a 3rd holiday for Charlotte! 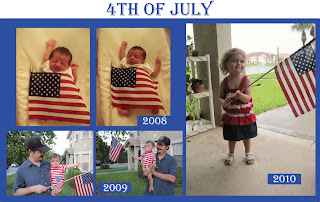 She was 15 days old for her first and all I could think of was to lay a flag over her tiny body. Of course family was thrilled with my ingenuity and my mom loved the stretching photos with the little fist pumping upward. She's come a long way since then; now two years old and 15 days. Our little girl surprises us every day with her word choices and independent decisions. We have far more wild behavior than ever before but we know it's part of her growing up and learning the rules. Many people asked what our plans were for today. Well being on bed rest we stayed home all day. Husband and I watched church the internet while Mema conducted a one child nursery care in another room. We heard lots of howls and assumed she was involved in some sort of early fireworks celebration. We looked for mini-vans on the internet and husband and I actually reached a reasonable conclusion, while Charlotte played in another room with Mema! Husband made a fantastic dinner of steak, corn, roasted potatoes, carrots, salad AND a berry pie - all while I sat around with my feet up!!! Overall we had a lovely, fantastic holiday!!! Happy Independence Day to you guys. Wow! What a transformation! 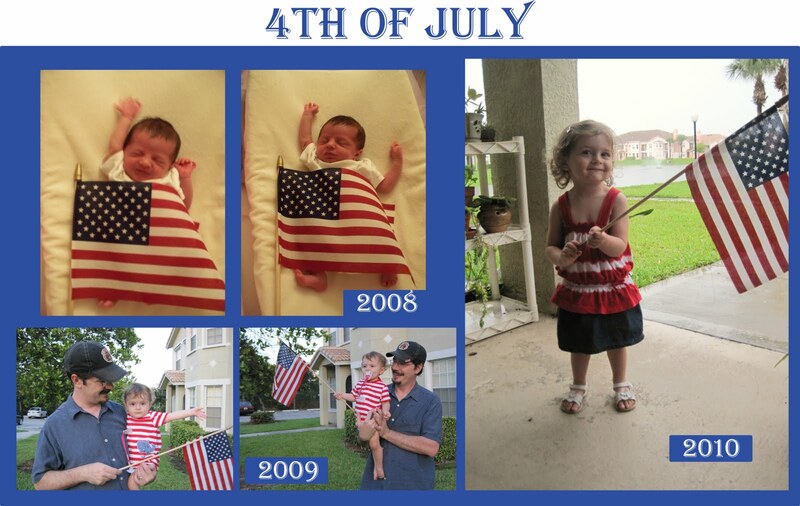 The past two years of July 4th pictures are great. You should start a mural frame of July 4th pictures of her. Add one each year till she is 18? That would be neat. Happy Fourth to you too! Hope you continue to feel ok. Oh, and can you ask Mike to send my steak, corn, potatoes, carrots and berry pie with overnight express delivery? That sounds awesome! BTW, what is your decision on the van? Message me if you'd like.